Well looks like the rains are on the way. Good news for those fishing the Cap, Vedder, and Chehalis rivers, not so much for the saltwater anglers. The forecast for Friday is for 5-10 mm, Saturday 30-40 mm, and Sunday 20-30 mm. This will, without a doubt, raise the level of the Capilano River to a point where the coho and chinook make an attempt to go up the river. That doesn’t mean you shouldn’t go fishing though. One of the best days I have ever had at the Cap was when it was pouring rain and the river was high. All the chinook stacked up right at the mouth by the green marker before heading up. Myself and 2 other boats happened to be there. It was fast and furious to say the least with 16 chinook hooked in 5 hours. We have seen this pattern happen a few times, so the rain doesn’t always mark the end of the fishery, but I will admit, the end is near. The fish will eventually use that higher water to head up the river, so if you want to get out and hook some big springs, this is a good time to do it and soon to be one of the last times. The rain will keep the crowds down as well. Ian and friends after a successful day at the Cap Mouth this week. Down south at Sandheads, the chum numbers went through the roof the last couple of days in the test sets. 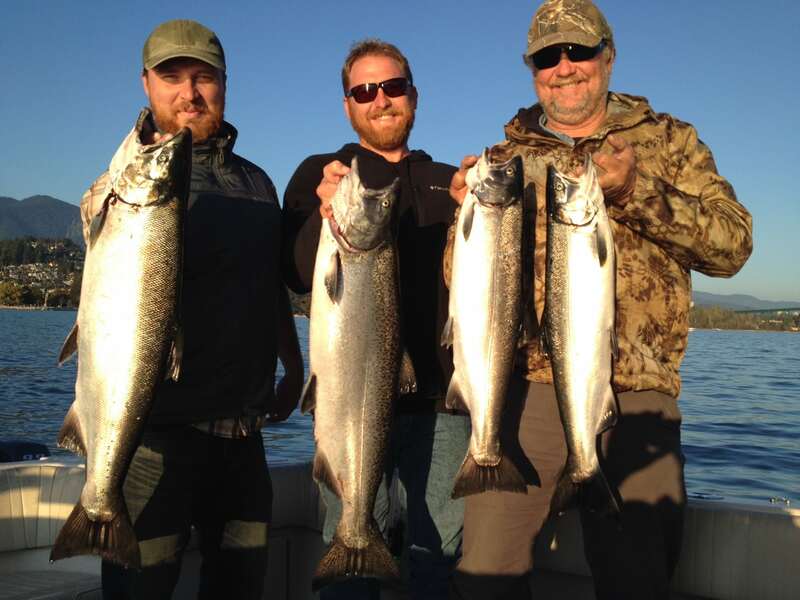 There are also some chinook getting caught as well as some coho. The bulk of the chinook have gone up the Fraser but there are still some late white chinook to be had, including some tyees. I saw pictures of a few tyees this past week and reports of some nice coho as well. I was looking at some old photos and this next week there are some good coho days to be had off the South Arm. If you are looking for a change of pace from the Cap chinook, try heading south. This year will not go down as an epic coho year for numbers, but there are some big ones that will make the run worthwhile. So we have about a week or two left, so if you haven’t had your fill yet, now is the time. 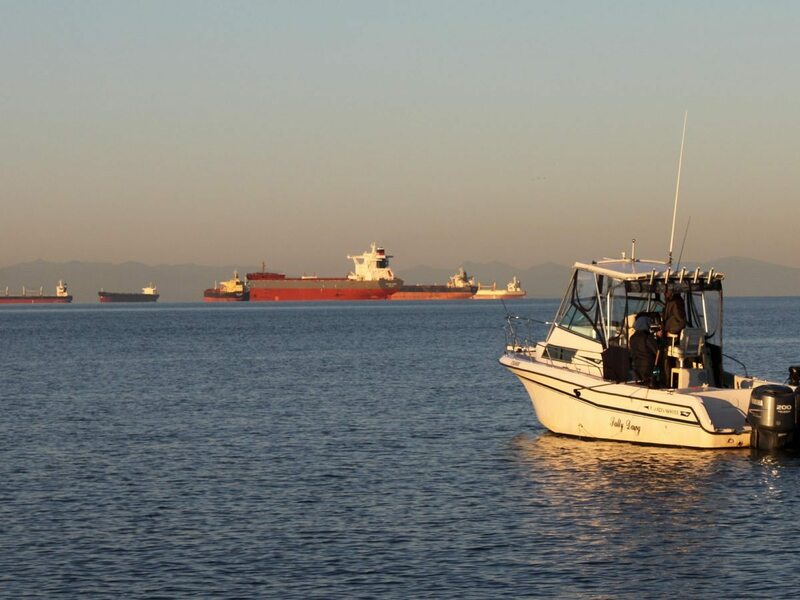 There won’t be much going on in November until we start to look for winter chinook in mid December.